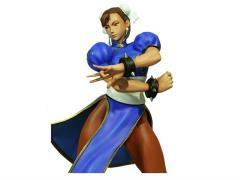 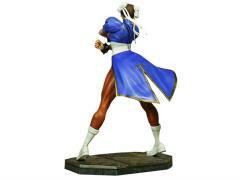 This amazing statue captures Chun-Li in classic fighting stance, wearing her iconic blue Qipao costume. 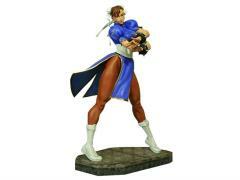 One of the most popular video game characters of all time, Chun-Li is beautifully depicted and comes complete with a themed display base. A fantastic addition to any Street Fighter fan's collection, this museum quality statue is constructed from heavyweight polystone and then hand painted to the finest detail.